How Does The 2019 Toyota RAV4 Compare To Its Rivals? Can the redesigned RAV4 maintain its dominant sales position against its major rivals? The shiny new 2019 Toyota RAV4 was just revealed in New York. Featuring improvements and updates in nearly every major area, it will soon be heading to showrooms around the country. As Toyota’s top seller in the US it was unlikely to deviate in a major way from its winning recipe. The RAV4 sold 407,594 units in 2017, only bested by the usual Ford/Chev/Ram truck trio. Yet despite this strong showing its rivals are hot on the RAV4’s heels. So let's see how stacks up against the competition. The Rouge is the RAV4’s closest competitor in terms of sales, trailing the RAV4 by a mere 4,129 units last year. Despite its success, the Rogue does not offer the best handling or performance, is hampered by its CVT transmission and visibility is below par. This is where the new RAV4 will surely claw back some points, its new 8-speed automatic transmission and uprated engines should eclipse the Rogue. 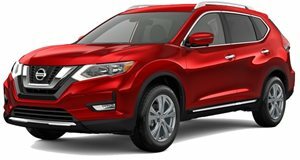 The Nissan is comfortable and very spacious, seating up to 7 occupants, something that is not common in this class and not available on the RAV4, for now. 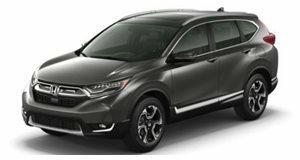 The CR-V is another big seller in the small SUV segment, its tally of 377,895 units in 2017 is impressive and having been redesigned only a year ago, features some of the latest tech in the segment. The availability of either a 184-hp 2.4-liter or 190-hp 1.5-liter turbocharged engine as well as plenty of luxury options further broadens its appeal. The RAV4 counters the efficient CR-V turbo with a frugal yet sprightly hybrid offering and the updated Entune 3,0 infotainment system now incorporates smartphone compatibility too. 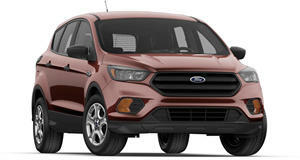 The Escape tries to be the small SUV for every need, offering three engine options and four trim levels ranging from barebones to ultra-luxurious. Cabin and cargo space are superb too, it even handles well but you will need to pay up for the engine you really want and that handling comes at the price of ride comfort. Refinement levels are below the class average too. The RAV4 counters the Escape’s strengths by offering an even roomier interior, similarly advanced infotainment system and plenty of equipment too. Still, 308,296 shoppers bought an Escape in 2017 so Toyota needs to keep an eye on this competitor. 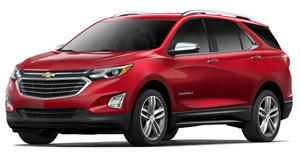 The recently redesigned Equinox is a small SUV with plenty going for it. Efficient, comfortable, with advanced safety equipment and plenty of space, 290,458 found homes last year. Where it falls down is in the limited cargo space and lack of driving excitement. It does however offer a 252-hp turbocharged engine and a fuel-efficient diesel option, something not available on the RAV4. However, the RAV4 boasts far superior material quality, more generous cargo space and better visibility. The efficient hybrid version should also offer a better mix of performance and efficiency than the Equinox’s 137-hp diesel unit. The new Forester also debuted at the New York Motor Show and it has stuck true to its core competencies of fuss-free off-roading ability allied with stellar reliability. The RAV4 may not be quite so capable offroad but it does now feature an available AWD system with torque vectoring, a Multi-Terrain Select System and a rear-axle disconnect (the Forester is permanent AWD only) for the best possible fuel efficiency. 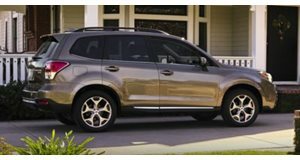 The new Forester may be more refined and luxurious than before but it is also losing two unique selling points, namely its 250-hp turbocharged engine as well as the 6-speed manual transmission. The CX-5 offers a blend of styling and dynamic ability that has found it many friends over the years. The 127,563 units sold in 2017 do not tell the whole story though as the first three months of 2018 have shown a big boost in sales figures. 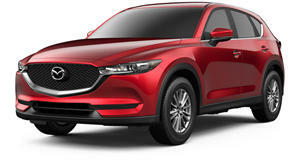 The CX-5 is also fresh off a redesign in 2017 and while its 187-hp 2.5-liter engine may not imbue it with any more performance than the competition, the way it handles is quite possibly the best in class. Where it falls short of the RAV4 is in interior and cargo space as well as offering just a single engine/transmission. The new multi-link rear suspension should also bring the RAV4 closer to the CX-5 in dynamic terms too. 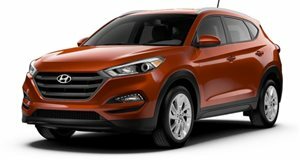 Well priced and quick when equipped the 175-hp 1.6-liter turbocharged motor, the Tucson is a competent small SUV that acheived a respectable 114,735 sales in 2017. While its rivals offer more luxurious interiors with quality materials, and cargo space is a bit tight (cabin is spacious enough), value for money is where the Tuscon excels. Few rivals offer as much equipment for the money. The RAV4 is priced a level above the Tucson but it does offer a more sumptuous interior and now comes with more equipment than before, the revised infotainment system, Toyota Safety Sense system and features like Amazon Alexa connectivity should appeal to many shoppers. The redesigned RAV4 may not be the outright leader in any one aspect when compared to the rest of the small SUV field, but neither was its predecessor and that vehicle has been a top seller for years. The new Toyota New Global Architecture (TNGA) platform has helped improve interior space and numerous detail improvements add up to an impressive offering. 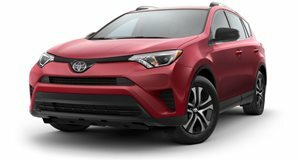 Clearly Toyota knows its customers and its decision to stick to the same basic formula with incremental yet worthwhile improvements across the board should set the new RAV4 for up for another command sales performance. After all, this is the car that created the small SUV segment in the first place.